Members of SPCleantech, BLOK Architects and Bjerg Arkitekter have concluded a cooperation agreement combining their complementary competences in creating an innovative architecture based on Scandinavian experience. 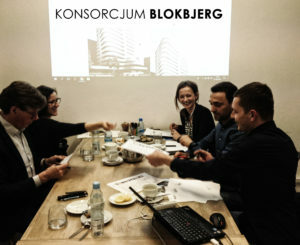 Bjerg Arkitekter is a Danish architectural firm based in Warsaw, and architects from BLOK Architects from Krakow have many years of experience as architects in Denmark. The newly formed consortium together with the cooperation agreement is a great example of the benefits that SPCleantech members can derive from membership in the cluster. 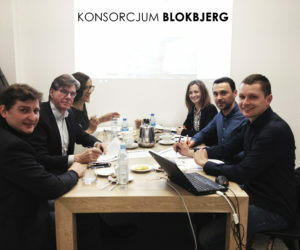 The BLOK BJERG consortium plans to create an innovative housing estate and design individual passive buildings made of wood, following the principles of Universal Design and Well-being. Comprehensive analysis of the capacity of building plots, including preliminary analysis of potential energy consumption in the facility – analysis in the PHPP Eco program for the design of passive buildings. Preparation of the necessary documentation for the application for the building conditions along with the architectural concept in order to obtain a decision on the Building Permission. Creation of an original conceptual design of public facilities, such as nurseries, kindergartens, schools, cultural centers, museums, and homes for activating seniors, starting from an innovative approach to functions based on Danish experience in these areas. Designs of multi-family residential buildings, public utility buildings, including office, commercial, service, nurseries, kindergartens, cultural centers together with the investment process, obtaining a building permit and author’s supervision.